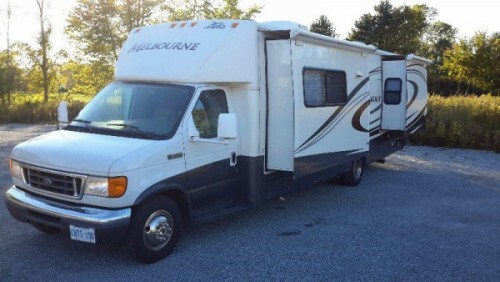 2002 Glendale Titanium 29E34RL Fifthwheel. Excellent shape. One slide. AC unit. Sleeps 4. Great price. King bed. Lots of storage. Please call 519-520-6045 to view. 2009 Roadtrek 170 Popular Class-C Motorhome. Low mileage. White. Excellent condition. Double bed, kitchen, bathroom with shower stall. Back up camera and GPS. For more information please call 289-990-6859. 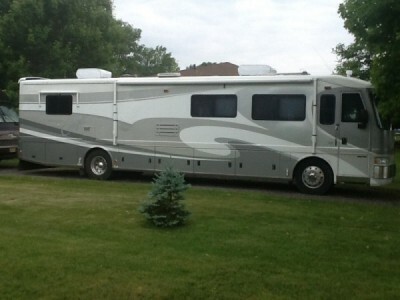 2009 Thor Windsport 36Ft Class-A Motorhome. 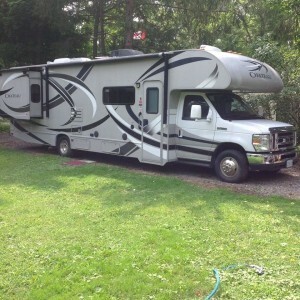 Great motor home with 3 slides, main bedroom, 2 bunk beds, sofa bed and dining table makes into a bed. 3 year extended warranty transferable. Please call 519-933-9974 to view. 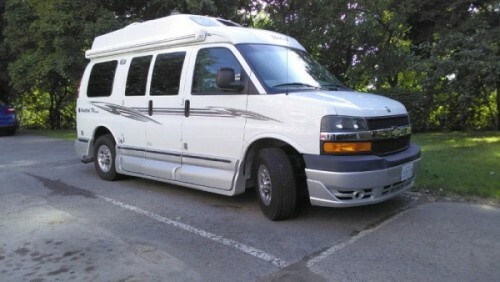 1998 Triple-E Empress 36Ft Class-A Motorhome. 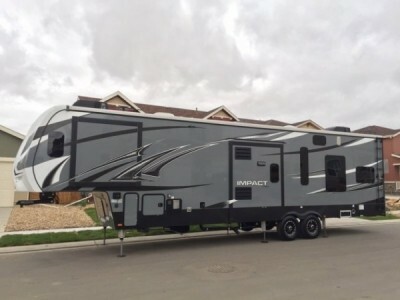 300 Caterpillar engine, Freightliner Chassis, Allison transmission, 1 Slide, New Paint w/Diamond Shield Protection, 6 New Michelin Tires, 4 New Batteries, new FlexSteel Leather Sofa/Bed and New Leather Swivel Chair, Washer/Dryer Combo, Generator, GPS, 2 Flat Screen TVs, Falcon Tow Bar and Accessory Kit, Winegard Satelite Receiver, Tiremaster monitoring system for RV. Please call 613-362-1735 to view. 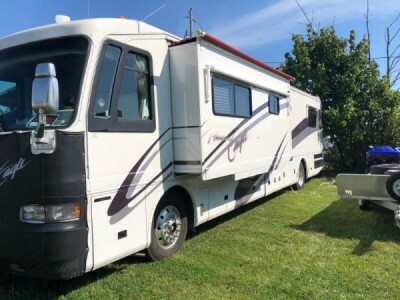 1999 Fleetwood America Eagle 40Ft Class-A Motorhome. 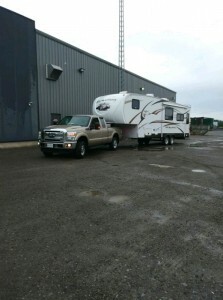 1 Slide, 350 Cummins, 8.5L, 6 speed Allison transmission, new Michelin Tires, just safety checked and emission tested. Basement completely redone with stainless steel bottom and checker plate aluminum sides. Also available 2005 Jeep Grand Cherokee with Blue Ox Base Plate hookup. Please call 613-362-1735 for more information. 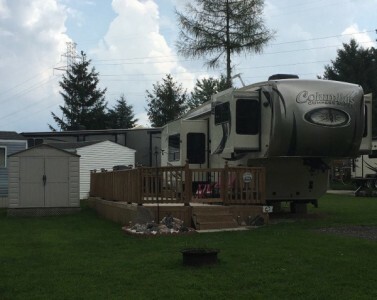 2017 Palomino Columbus Compass 381FLC Series Fifthwheel. Original owners. One of a kind custom built. Many upgrades purchased. Five year transferable extended warranty. Five Slide Outs. Front living room with 55” flatscreen TV, sound bar and DVD player, theatre couch plus 2 love seats with tri-fold beds. Electric fireplace. Kitchen with island. 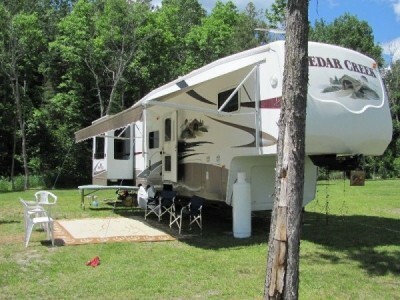 Stainless steel appliances, which include 3 burner stove with oven, microwave range hood, 18 cubic foot Rv fridge. Loads of counter and cupboard space. Kitchen table (with built in extension). Two regular chairs plus two additional cushioned fold up chairs. Bathroom features full shower, vanity, mirrored medicine cabinet and linen closest. Hallway coat closet. Master bedroom at rear has a dresser plus massive wall to wall closet with light up storage and roughed in for washer, dryer. Central vac. Daytime/nighttime pleated blinds. 21ft metal wrapped Power Awning with LED strip light. 2 entrances with pull out stairs with night time lights. 2 AC units. 6 point level up self leveling system. 2 huge storage compartments. 5 year paint and decal protection, underbody mouse sprayed. Fully enclosed, pressure treated 10x36ft deck,. 6x8ft vinyl shed included. 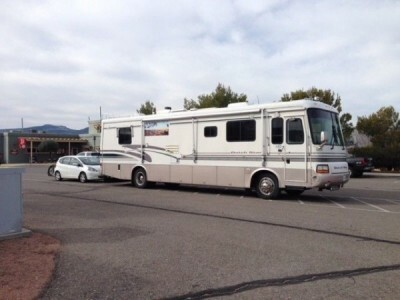 Trailer was delivered new to our site at the rv park and has never left. So, it’s never been towed. MINT condition. Serious inquiries only. Please call 519-242-6626 to view. 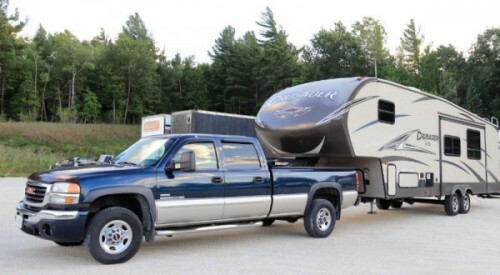 2016 Primetime Crusader 30BH + 2006 GMC Sierra SLE 2500HD Truck Combo. 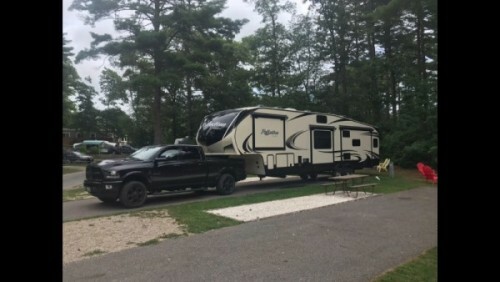 2016 Primetime Crusader 30BH FifthWheel + 2006 GMC Sierra SLE 2500HD Truck Combo. Like new condition. Sleeps up to 8. Queen bed. 4Piece and 2 piece bath. 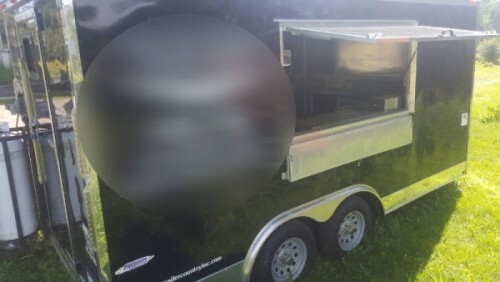 Propane stove and oven. Propane/electric fridge. Plenty of cabinets. Fold out sofa bed. Dinette converts to bed. Pantry. 32 Inch Flat screen TV. Double sink. Two 30lbs propane tanks. Roof ducted air conditioning. Exterior speakers. Spare tire. Rear ladder. Electric awning. Microwave. Outside shower. 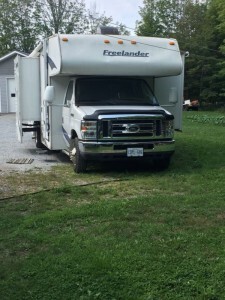 Would consider trade for 24 to 28 foot motor home. Chevrolet Sierra SLE: Duramax Diesel 6600 V8. Allison 6 speed automatic transmission. HD Trailering equipment. Weight Distributing Hitch. Spare fuel tank. TruXport Tonneau Cover. Load Lifter 5000 Airbags. Krown Rust proofing. In excellent condition. Built for trailering from manufacturer. Only 135,000 Kilometres. Please call 416-940-0279 to view. 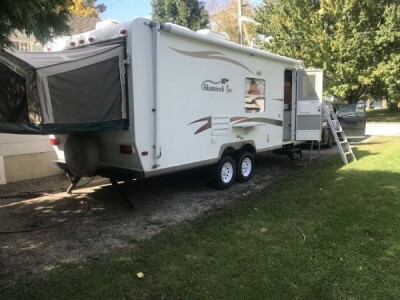 2003 Fleetwood Redwood 19Ft Trailer. 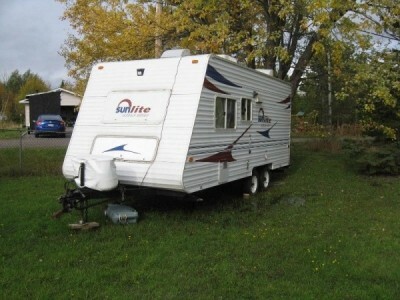 This trailer has been lightly used by seniors and is in excellent condition. Two king-sized beds plus a double bed. Fridge, stove, oven, BBQ, microwave, water heater, furnace, entertainment system. Brand new tires. It runs on propane/electric hook-up/battery. Included in this price is a $1000.00 "Add-A-Room" used once. It is set-up and ready for viewing. We are located 15 min from Hwy. 400 and Hwy. 9 (Newmarket). Please call 905-251-4454 to view. 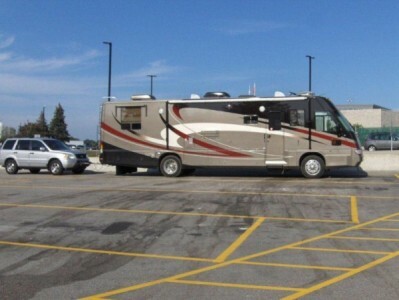 2008 Coachmen Freelander 31DS Class-A Motorhome. Mint Condition. New flooring throughout. Runs & handles beautifully. Has a massive storage compartment in the rear. Single slide in kitchen and a double slide in the livingroom. Comes with 4 stools, fold down bar, 2 detachable tables in front of the U shaped sofa bed. 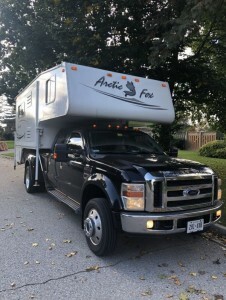 Sleeping above the cab with privacy curtains. Unit sleeps 5 comfortably. Queen size bed in bedroom. Bedroom has privacy curtains and bathroom door swings across the hall for more privacy. A/C. Propane furnace. Outdoor BBQ rack / quick attach. Outdoor shower. Ready for your trip south. Please call 613-285-5507 to view. 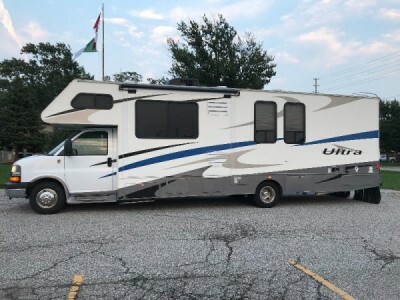 2009 Gulf Stream Conquest Ultra 32Ft Class-C Motorhome. 2 Slides in Excellent condition. See spec picture to see all of its features. Also includes a digital Air Lift system, self levelling system and 6 new ten-ply tires. Vehicle has never seen winter roads and has been stored inside during winter months. Please call 519-728-3400 to view. 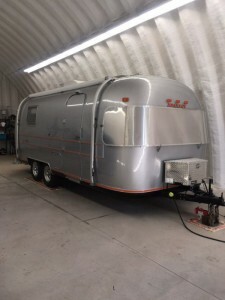 2018 Grand Design Reflection 367BHS Fifthwheel. Loaded with options, added back up camera, Maxxair Roof Vent Covers, 4 Slide Out Toppers, added Surge Protector, all in Mint Condition. Paid $73 000.00 + $4500.00 in Upgrades listed!! Four Season Trailer!! Sleeps 8 easily!! Please call 905-699-1473 to view. 2002 Volkswagon Beatle and tow dolly combo. 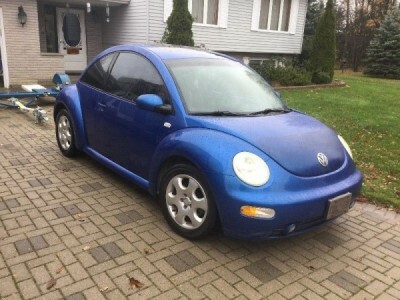 Volkswagon, asking $3000 and the tow dolley $ 1800 firm. Please call 519-338-2837 to view. 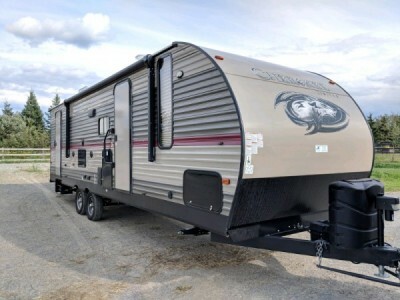 2018 Forest River Cherokee 274DBH Fifthwheel. 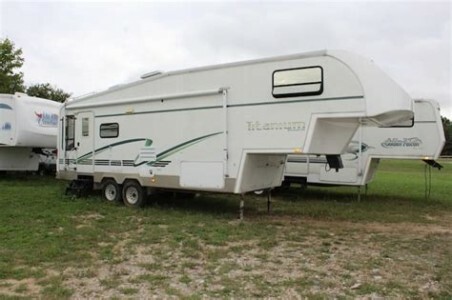 27ft travel trailer in excellent condition. 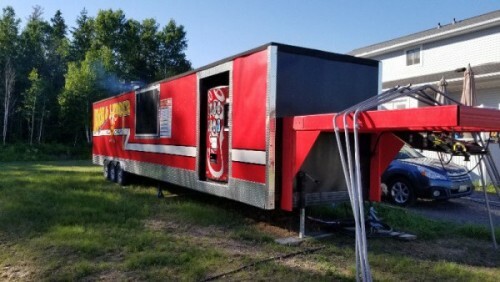 This trailer has all the amenities. 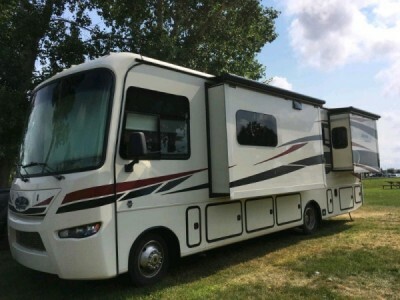 Slide out, double rear bunks, separate master bedroom, u-shaped dinette, jack knife sofa, LED lighting, fireplace, microwave, bluetooth stereo, sleeps 6-10, etc. 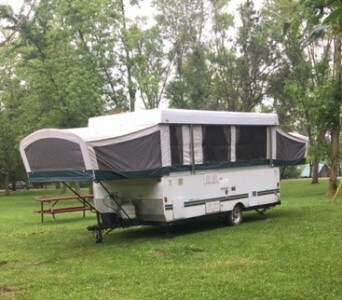 Electric awning, electric jack, outdoor mini camp kitchen, storage under bunk bed and master bed, drop down rear rack, etc. Please call 705-929-8306 to view. 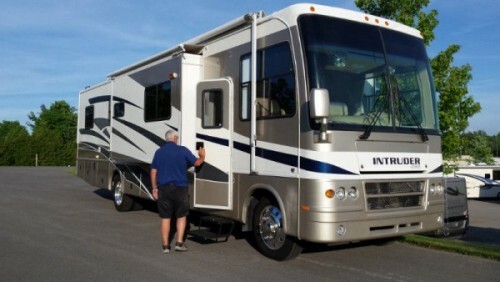 2014 Jayco Precept 31UL Class-A Motorhome. 3 slides and 8,500 miles. 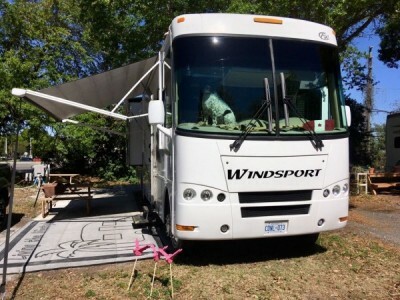 This RV is approximately 31 feet in length with a Ford V10 engine, Ford chassis, power mirrors with heat, GPS, 5.5KW Onan generator with AGS, power patio awnings, side-out room toppers, tankless water heater, 50 amp service, power steps, pass-thru storage with side swing baggage doors, tank heater, exterior shower, 5K lb. 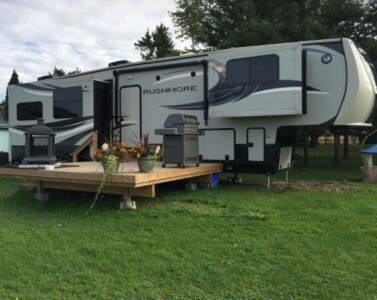 hitch, automatic leveling jacks, 3 camera monitoring system, exterior TV, Xantrax inverter, convection microwave, solid surface counter, pillow top mattress, 2 ducted roof A/Cs and 3 LCD TVs. Extended warranty till July 2022. Excellent shape ready go! Financing available. Please call 780-933-0932 to view.